Each year, the Nebraska Legislature acts on bills that affect our entire state. When the South Platte region is affected, SPUCC gets involved. Issues that pertain to economic development, water, housing, transportation, roads, taxation…any number of things that positively or negatively impact the future of the South Platte region, are of great importance to SPUCC. Our region comprises one-fourth of the land mass of Nebraska, so we have clout. SPUCC members turn to this organization for leadership. South Platte can form coalitions of communities or groups and write letters of support. South Platte members make personal contacts with Nebraska senators to keep communication lines open. SPUCC ensures that our region is represented to the Legislature and that the senators know how their decisions impact our region. Bring your community’s concerns to SPUCC. Visit the page to contact a board member. Get involved. 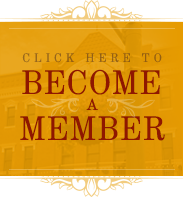 Become a member of South Platte United Chambers of Commerce.